Meccanica H7 has got the certificate of "System Supplier" received by our customer "Tetra Pak" for which we make complete modules for filling machines since 1995. Such a long cooperation with a customer of so high importance has led the growth of our whole organization. 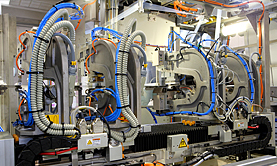 We have increased abilities for high-tech machines mass production, learning the benefits coming from the standardization of mechanical and electrical assemblies and the importance of functional test management. 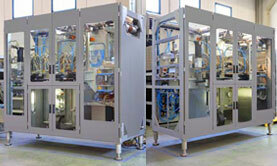 To design an automation in order to solve a packaging need is a challenge that we always liked to experience. 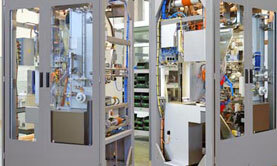 The several customers we have in packaging sector encourage us to identify always innovative choices that can ensure a high operating speed, high accuracy of tests and the reliability of basic mechanical and electronic components. 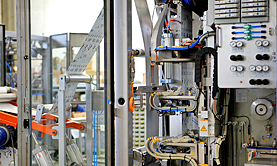 Modules — opening/closing systems for filling machines.